With a quarter of 2017 now complete, Ben and Courtney try to make sense of it all. But does it make sense, really? Daria Kasatkina won Charleston in an all-teen final, which should be a big result. But what are results anyhow, when every player seems to have a roughly equal share of success and failure these days? Which characters and plotlines are really relevant? Does TV have the answers? The men's side is a completely different coin, because one beloved old dude (Roger Federer) has stepped up to fill the void. 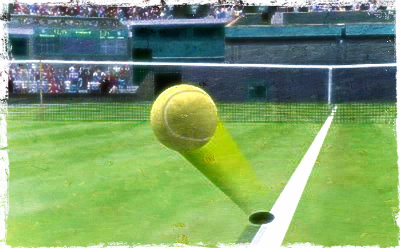 But just what is that void without Federer being there as a shiny glaze on top of an otherwise questionable confection? Lastly, we make predictions for the French Open, an amusingly hopeless endeavor. And as always, thanks for liking us on Facebook (leave comments on the episode thread! Engage with other listeners! ), following us on Twitter (discuss this episode with hashtag #NCR184! ), and subscribing/reviewing on iTunes on iTunes or whatever your podcasting app/platform of choice may be.